In the interest of full disclosure, I must admit that I am not a fan of cherries. When my wife and I go out for milkshakes, I always give her the cherry from mine. Occasionally I’ll eat cherry pie, if there isn’t any apple pie available. Same thing for cheesecake, I’ll eat cherry cheesecake, but prefer mine topped with raspberry. Other than those two instances, I have very little taste for cherry. And since we’re talking about cheesecake, I must admit that I’m something of a cheesecake snob. Having grown up and spent most of my life in the greater New York City area, I acquired a taste for the style of cheesecake that predominates there. Get too far away from New York and ordering cheesecake becomes an iffy proposition at best. Too often it comes out too runny or moist, or worse, too dry. Some places try to hide the inadequacies of their cheesecake by drowning it in topping. Great, even merely good cheesecake makers know that the topping is meant to serve as a garnish, to enhance the taste of the cheesecake, not overwhelm or disguise it. Given all of that, I was dubious about how well I would like Cherry Cheesecake ejuice from American eLiquids. Especially since the picture on their website is clearly that of a piece of cheesecake topped with strawberries, not cherries. 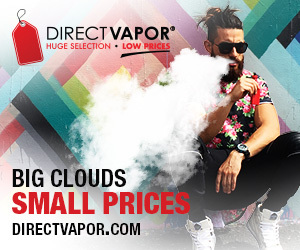 Thankfully, it appears that the people in charge of putting images on the website have nothing to do with actually mixing the ejuice at American eLiquid. Their Cherry Cheesecake is delightful. The flavor is that of cheesecake done right, creamy and rich. And the cherry, while definitely noticeable, manages to enhance the overall taste without dominating it. On both the inhale and exhale there’s a nice presence of the cherry, light but unmistakable. The cheesecake taste is a little more mysterious, if you didn’t know this was a cheesecake ejuice you might not identify it right away. But allow the vapor to linger and play over your tongue and it’ll come to you. The taste is smooth and creamy. Cherry Cheesecake produces a slightly warm vapor with a moderate throat hit. The aroma is pleasant, with a nice blending of both the cherry and cheesecake. It’s light, like the aroma of actual cheesecake, but pleasing nonetheless. Since the flavor of Cherry Cheesecake isn’t overwhelming, if you really enjoy cherry cheesecake, you’ll find this an excellent all day vape. If cheesecake, or cherry, aren’t your first choices for dessert, you may still enjoy Cherry Cheesecake, especially after a big meal when you’re too full for dessert. American eLiquid Store lists Cherry Cheesecake in their fruit flavor section, but their plain Cheesecake in the rich flavor line. Cherry Cheesecake blends the two flavors so well it could be listed in either without any argument from me. American eLiquid Store offers Cherry Cheesecake in 15 ml, 30 ml and 60 ml sizes for $9.99, $17.99 and $29.99 respectively. Available nicotine levels are 0 MG (with a savings of $5), 6 MG, 12 MG, 18 MG, 24 MG and, for an additional $5, 36 MG. You can order Cherry Cheesecake in a variety of PG/VG ratios, 100% of either, or in 50/50, 70/30 or 30/70 mix. We tested Cherry Cheesecake in a Kangertech Aerotank Mega powered by the Innokin iTaste MVP 2. American eLiquid Store provided the bottle we sampled for the purpose of this review.